The lack of housing means that the topic of high-rise buildings in many German cities is strongly discussed. While Munich is still baulking against a building over 100 meters in height, other cities are growing beyond themselves. We take a look at the tallest buildings in Germany. Skyscrapers have only been around for a century. The first skyscrapers were built in Germany in the 20th century. In Frankfurt am Main, the first high-rise residential buildings were erected in the 1920s and 1930s, which are no longer perceived as high-rise buildings with their 30 meters, such as the IG Farben House, which today serves as the location of Goethe University. At the end of the 1970s, the first skyscrapers in Frankfurt were tackled. Skyscrapers are buildings that are over 150 meters high. 14 properties may carry this proud title in the Main metropolis. So it is not surprising that Frankfurt leads the list of the tallest skyscrapers in Germany. More than 30 buildings now reach a height of over 100 meters and numerous other skyscrapers are being planned. If you love skyscrapers then book cheap flights to Frankfurt now and relish the moment you love by watching breath-taking skyscrapers in the main financial centre of Germany. This is followed by Berlin by far with 11 skyscrapers, Cologne has 10 and Munich only 6 skyscrapers with a height of more than 100 meters. At 259 meters, the Commerzbank Tower in Frankfurt, built in 1997, is the tallest building in Germany. From 1997 to 2003 it was even the tallest skyscraper in Europe. Only a few meters lower is the Frankfurt Messeturm (256.5 meters), which was opened in 1990 and was allowed to carry the title of Europe’s tallest, building from 1990 to 1997. 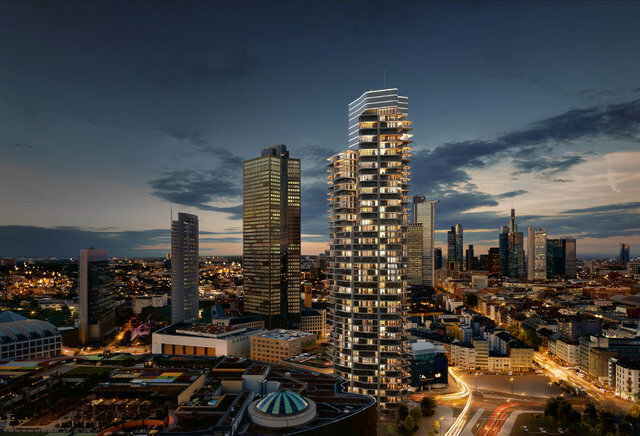 The third tallest building in Germany is also located in Frankfurt am Main: the tower with the title Westendstraße 1 reaches a height of 208 meters. If you want a nice view over the Frankfurt skyline, then you should climb the 4th place of the ranking, the Main Tower! On the publicly accessible observation deck, you can take a look from 200 meters up to the Hessian metropolis. The Tower 185 – built in 2011 – and thus a rather younger high-rise – has a height of 200 meters and is the German headquarters of Price water house Coopers – fifth place in Germany. The headquarters of Deka Bank with the name Trianon is at its 196 meters, the six-largest skyscraper in Germany – of course, in Frankfurt am Main. The new construction of the European Central Bank on the border with Offenbach took seventh place in 2014 in the ranking of the tallest buildings in Germany. The height of the north tower including the antenna mast is even 201 meters! Frankfurt am Main can also claim places eight to eleven with the opera, taunts and silver tower. Only at the eleventh place of the tallest skyscrapers in Germany, you can read a name other than Frankfurt am Main. The Deutsche Post AG headquarters, completed in 2002, is located in Bonn and, with its 162.5 meters, can also be called a skyscraper. and the 155 meters high Marienturm in the financial district Frankfurt (later place 13). Don’t forget to look more about Punilla Valley in Cordoba, Argentina. 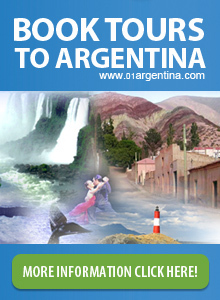 An amazing place to visit on your next trip to Argentina. Every week we are posting new travel articles. 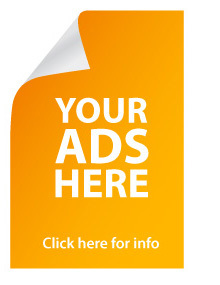 Be sure to come and look for more useful information for your trips.